Less than 24 hours after one Coloradan made history at Augusta National Golf Club in Georgia, three other players from the Centennial State gave it a go. 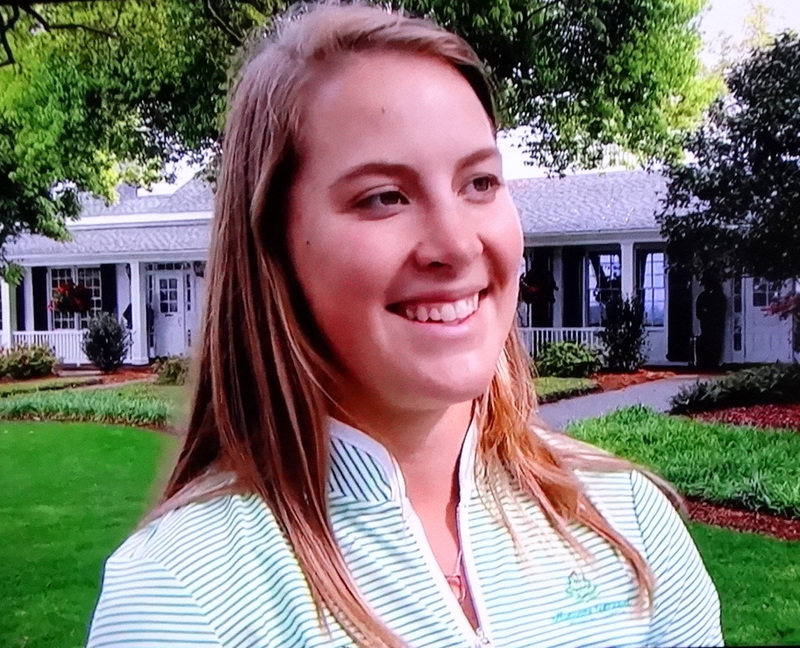 On Saturday, Jennifer Kupcho of Westminster won the inaugural Augusta National Women’s Amateur, the first women’s championship ever contested at the home of the Masters. 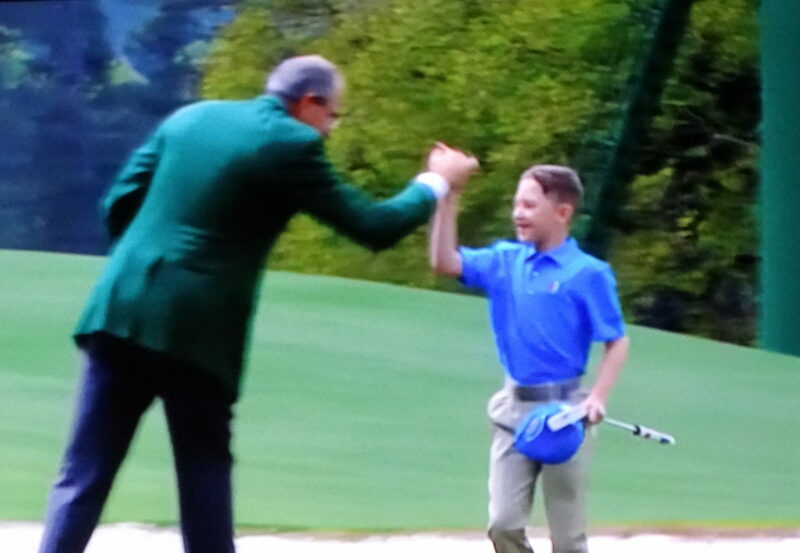 Then on Sunday, a record-tying three Coloradans were among the 80 competitors overall in the Drive, Chip & Putt National Finals, also nationally televised at Augusta National. No Coloradans followed up Kupcho’s victory with one of their own, but all three junior golfers did crack the top five — out of 10 competitors in their respective age/gender divisions — marking the first, second and third times that’s been done by Coloradans in the DCP National Finals. Chunya Boonta of Centennial (pictured above) will now go down as the highest Colorado finisher ever in the Drive, Chip & Putt Nationals. Thanks to strong showings in chipping and putting, she placed second in the girls 12-13 division in her first trip to Augusta National. After finishing seventh in driving, she was second in the chipping and third in the putting, recording 21 points overall, seven fewer than champion Yana Wilson of Henderson, Nev. In chipping, Boonta tied for the top spot in regulation, but lost in a chip-off to place second in that discipline. Coloradan Caitlyn Chin was competing in her second DCP National Finals on Sunday. Caitlyn Chin of Greenwood Village, the only two-time DCP National Finalist from Colorado, tied for fifth in the girls 10-11 division, ending up eight points behind champion Sophia Li of Fresh Meadows, N.Y. That was the first top-five for a Coloradan — her division finished earlier than Boonta’s — and was a significant improvement over Chin’s 10th-place Finals showing in the girls 7-9 competition in 2016. Chin placed fifth out of 10 in both driving and putting, and was eighth in chipping. “She’s got a golf swing to watch as she gets bigger and stronger,” Golf Channel analyst and seven-time PGA Tour winner Peter Jacobsen said of Chin. 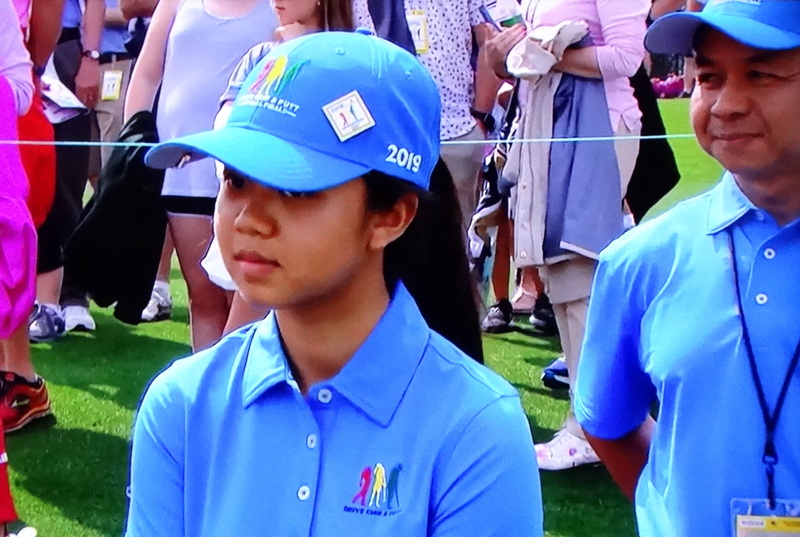 Both Boonta and Chin are members of the CGA’s Hale Irwin Player Program at CommonGround Golf Course, with Boonta in her fourth year and Chin in her second. Colorado Springs’ Grady Ortiz celebrates after holing his final putt on Sunday. The third Coloradan competing on Sunday, Grady Ortiz of Colorado Springs, tied for fifth in the boys 7-9 division. He finished off his competition in style by making his 15-foot second putt on Sunday to place third in the discipline conducted on the 18th green at Augusta National, site of next week’s Masters. It was Ortiz’s first trip to ANGC. Ortiz finished eighth in driving and fifth in chipping earlier, giving him a 17-point total, which left him eight points behind champion Conner Ford of Mount Vernon, Ky.
All three Coloradans received some air time on Golf Channel’s telecast — Boonta multiple times. The only other year three Coloradans qualified for the DCP National Finals was 2016, when Chin was joined by Luke Trujillo and Arielle Keating, both of Colorado Springs. The one other Coloradan to have previously competed in the Finals was Kaden Ford of Colorado Springs, last year. In all, six different Coloradans have earned spot in the DCP National Finals, with Chin appearing twice. Luke Trujillo of Colorado Springs (sixth in boys 14-15). Arielle Keating of Colorado Springs (sixth in girls 14-15). Caitlyn Chin of Greenwood Village (10th in girls 7-9). Kaden Ford of Colorado Springs (sixth in boys 14-15). This year, just seven states had more DCP National Finals representatives than Colorado: California and Florida (seven each), Georgia (six), Texas and Illinois (five each) and New Jersey and New York (four each). As always, this year’s National Finals was a star-studded affair. Among those on hand during Sunday’s competition were past Masters champions Bubba Watson, Nick Faldo, Bernhard Langer, Patrick Reed, Adam Scott and Mark O’Meara, along with World Golf Hall of Famers Annika Sorenstam and Nancy Lopez, and former U.S. Secretary of State Condoleeza Rice, a member at Augusta National. In DCP events, contestants score points in each discipline — driving, chipping and putting — based on how they place in each, with the points added together for a cumulative total. There are three qualifying stages for Drive, Chip & Putt: Locals, Sub-Regionals and Regionals. At each of 10 Regional Qualifiers, the winners of each age/gender division advanced to the DCP National Finals. There are eight age/gender divisions in each DCP event. In all, 40 boys and 40 girls competed on Sunday, with 10 contestants in each division. DCP is sponsored by the Masters, the USGA and the PGA of America. The competition is limited to players 7-15. This next season of DCP — the seventh — will mark a first for Colorado. The Junior Golf Alliance of Colorado and a Colorado facility were recently named hosts for a Regional Qualifying event for the first time ever. Colorado Golf Club in Parker will do the honors on Sept. 8, less than a week before the course will host the U.S. Mid-Amateur Championship. Of course, Colorado facilities have regularly hosted Local and Sub-Regional Qualifying in the past. For all the scores from the Drive, Chip & Putt National Finals, CLICK HERE. Jennifer Kupcho was on hand Sunday, a day after winning the inaugural Augusta National Women’s Amateur.